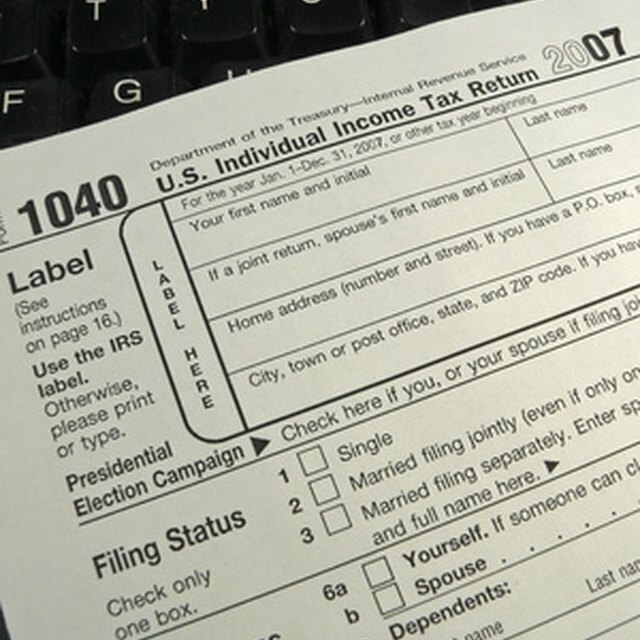 More than 100 million federal tax returns were filed electronically for tax year 2011. More than one billion federal tax returns have been e-filed since 1990 according to the Internal Revenue Service (IRS). Electronic filing speeds up refunds and reduces errors. Prepare your tax return or have a tax professional prepare it for you. You can go to an authorized IRS e-file provider since almost all tax professionals electronically file tax returns. The IRS has a list of providers near you, which you can access on the Internet (see References). Tax professionals are very busy so take your income and deduction documents to them as soon as you receive them all. If your tax return is fairly simple, you can also go to IRS Free-File (see References) or purchase a tax filing software program such as TurboTax. Complete your tax return using your income and deduction documents such as W-2s, 1099s and 1098s. If you are receiving a refund, you may enter your bank account information in the e-file program so that your refund will be direct deposited. This is the fastest way to receive your money. If you owe, mail the IRS payment voucher, Form 1040-V, along with your check by April 15. Direct debit or credit card payments are also available for electronic filers. Within two days of electronic filing, the IRS will send to your authorized e-file provider either an acknowledgement that the return is accepted or a rejection. The most common reason for rejection is Social Security number problems, such as the number not matching the name in Social Security records. This can usually be cleared up easily. Your tax refund generally gets to you in about half the usual time if you file electronically. The IRS estimates that it will take 10 to 21 days to get a refund from an electronically filed return. Filing electronically saves time and money. E-filing is safe and secure and is now the most popular way to file tax returns.